This Hawaiian pork burger is exactly why we should be eating more pork burgers. Packed with flavor and finished with great toppings, every bite was a treat. I could’ve opted to grill the pineapple, but I love the taste of fresh pineapple just as it is. That sweet flavor along with the tangy BBQ sauce really went along well with the slightly herby patties. 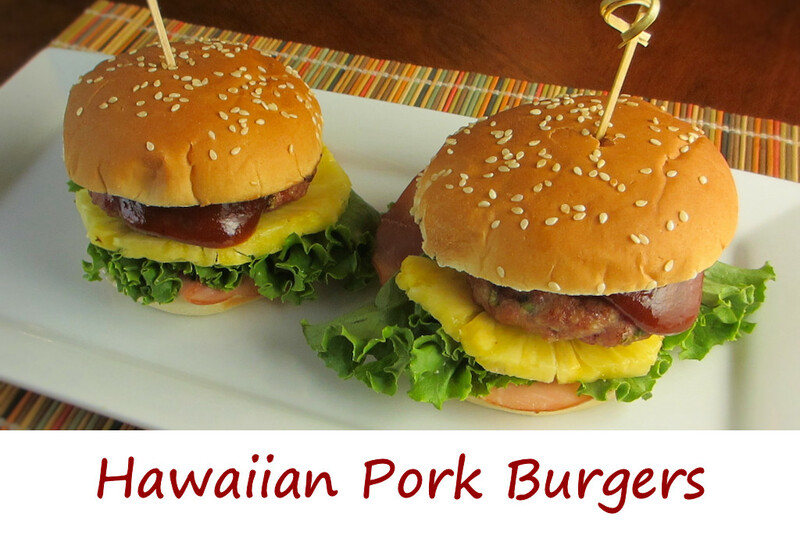 I’d make these Hawaiian pork burgers again. And again. I do recommend using a BBQ sauce with a slight smoky flavor. And a little spiciness wouldn’t hurt either since you’ve got that wonderfully sweet pineapple slice to contrast it. Also try my super-crazy-good pork burgers. In a large bowl combine the pork, green onion, ginger, allspice, and pepper. Form into 4 equally-sized patties. Place on wax paper and refrigerate for up 2 hours. Fire up your grill. Clean the grates well. Lightly oil the outsides of the patties. Not much, just a bit so they don't stick. Grill the patties on one side for 5 minutes. Flip and continue cooking until done, reaching at least 145 F internally. I took mine to 160 F because some folks still aren't used to pink pork even though it's fine to consume. Optionally, brush the patties with BBQ sauce and grill the pineapple rings. I find grilled pineapple rings to be prone to falling apart unless cooked on a griddle, so I usually skip grilling them. Remove the patties and let rest for 5 minutes. Meanwhile, toast your buns if desired. Assemble the burgers by brushing BBQ sauce on the inside of the buns. Top the bottom bun with the ham, followed by the lettuce and pineapple. Add the pork burger and serve. This entry was posted in Main Dishes and tagged asian, burger, Hawaiian Pork Burger, pork, recipe by Mike. Bookmark the permalink.